I was invited to a meeting the other day to discuss the most efficient way to adapt our processes and procedures for our newest customer. 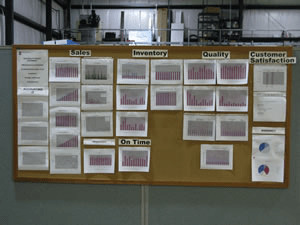 As I looked around the table at the other participants, sales staff, engineers, purchasing, it struck me just how far RBB had come since I was hired in 2005. In 2008, we knew it was time for a change. An electronics manufacturer since 1973, we began to embrace the Job Shop niche that we were unknowingly already doing. As with many things, acknowledging that change needs to happen is only the first step. First, let’s take a minute to think about what the standard business model looks like. Upper management talked about being a “team player”, but does this sound like real teamwork? Each department was an island unto itself. Sales sold, buyers purchased, engineers engineered and accountants, well, we counted. Walls were constructed, disguised as cubicles, to make sure the boundaries were not crossed. Very little communication of value passed over those walls. I interviewed at a company 10 years ago where each department occupied their own floor! Not that long ago that’s exactly what RBB Systems looked like. To become a premiere custom electronics manufacturer, the walls had to come down and fast. Teams and teamwork could no longer just be another cliché. Real teams and alliances were formed within the organization. 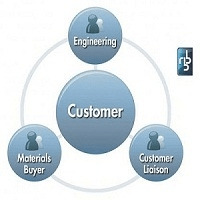 Customer Centric Teams (CCT’s) consisting of a sales liaison, engineer and buyer dedicated to a particular set of customers were brought together not just on paper but logistically as well. Each team member sits in close proximity with shorter walls allowing for timely communications when discussing how best to serve their customer’s needs. No longer are emails and meetings the first line of communication for serving our customers, but rather face-to-face dialog has become the new normal. The “wins” and suggested improvements for those things that did not go as expected. Just as important is recognition, appreciation and congratulations to fellow RBB’ers for a job well done. Out on the shop floor, Production, Quality Control and Engineering work in tandem to ensure a smooth flow of jobs on the floor. Just as bees swarm for the betterment of hive, RBB staffers swarm to get the job done. If parts need preparation prior to the start of assembly, members of the assembly and even the office staff can be found in the stockroom prepping parts. If the slide lines get behind, you can find stockroom staff sitting on the line assisting the assembly staff. Cross-training is the key to successful swarming as an electronics manufacturer. None of these changes are easy; in fact it’s pretty darn difficult. Old ways and old habits are hard to break. When possible, we managed and implemented the change step by step with a very methodical approach. But sometimes, it was just a matter of taking the leap. Our team concept is worth it and it does work, I witness it every day and most importantly so do our custom circuit board customers. If you want to find out more about the unique environment here, you can always check out our company video.